Cold and Flu season is here! Time to think about prevention and treatment. When people think about prevention they often think about getting a flu shot. However, there are many factors that play a role in whether the vaccine will actually work. The CDC itself, has stated that the flu vaccine is only effective about 60% of the time. Great odds when you are at a casino, not so much when there are risks to recieving the actual vaccine itself. Have you ever saw someone walk right past the restroom sink after they just used the toilet? Considering everything we touch in our daily lives, washing your hands in a no brainer. Consistent handwashing is believed to be the most effective method in preventing colds and flu’s. Also, on a side note, it has been shown that using antibacterial soap’s do not reduce your risk of getting a cold or flu, rather it increases antibiotic resistant bacteria. Not good! Simply put, getting 7.5-8 hours of sleep per night helps boost your immune system. 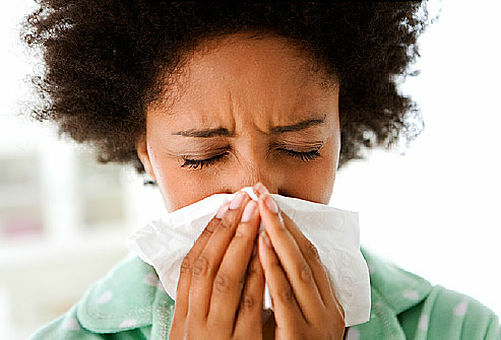 Those who do not receive adequate sleep each night have an increased chance of getting a cold or flu and risk a longer recovery period. Trying to make up your sleep “debt” over the weekends is ineffective, as 5 days out of the week your immune system is still decreased.